← But What If I Hate My Neighbor? 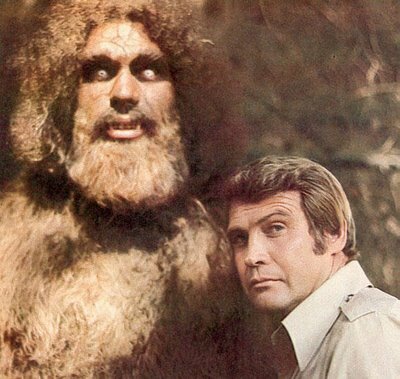 Growing up, I liked to watch the Six Million Dollar Man, and my favorite episodes were the ones with Bigfoot. He was so scary and mysterious all at the same time. You never saw him until the end of the episode, so I would sit through all the boring dialogue waiting for those little glimpses of him running through the woods, and then the big finale when Steve Austin would fight him. I have this theory that the thing that we call forgiveness– not easy, little forgiveness but great, big, hard-to-do forgiveness over deep wrongs- is like the sasquatch. As Christians we know that we should forgive, and that there are some times when it is easy. But there are other times when it’s harder, and forgiveness is elusive. This has been an ongoing issue in my own life- a deep hurt that I knew I needed to forgive but felt completely clueless as to how to pull that off. I could say that I forgave, but I knew it was only words. This is where Bigfoot comes in. I had heard about forgiveness, read about forgiveness, chased forgiveness, and desired forgiveness, but I had never even seen so much as a shaggy glimpse of it, far off in the trees. I was beginning to think that, like the sasquatch, what I sought couldn’t be found, and that I would be stuck in the rut of hurt for the rest of my life. Then I took a brave step of admitting to a very trusted friend and counselor that I was struggling with something. I admitted that I was weary of wrestling with it, weary of cycling unwillingly through the wounds and offenses, but felt completely unable to stop. 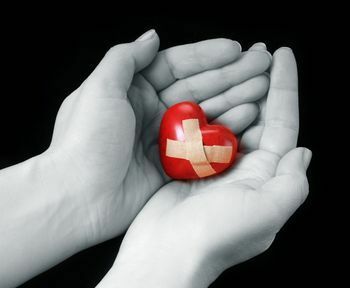 We began to meet weekly, I began to pray unceasingly, and slowly my picked over, festering wounds were cleaned and bound, one by one, and allowed to heal. Finally, one night as we sat talking, I felt and knew forgiveness firsthand, not abstractly, but tangibly. I caught a glimpse of Bigfoot- forgiveness- running through the trees, and went from wanting it to exist to knowing that it does. That has made all the difference. I now know that it is real and what I need to do to get it. A couple of things that I have learned about forgiveness- first, forgiveness is a process. I am not done. I have to actively continue to forgive, and will likely have to for a long time, but at least now I know what that is. Second, forgiveness is not about the other person and doesn’t really need to involve them in the process. It is about you. Third, forgiveness is an act of yielding – not giving up, but yielding over. When we decide not to be mad anymore, it can feel like we are giving up and losing the battle. It is not this way. It is yielding over the hurt to God and trusting Him with it. Lastly, getting rid of all that angry, yucky stuff inside of you leaves a void. You have to fill the void. For every ‘so-and-so wronged me’ that you jettison, you must insert a ‘Jesus loves me and has made me whole’. The sasquatch, forgiveness, is out there. I cannot truthfully say that I have captured him, but I have seen him running through the trees, and now there is great hope in chasing him. Fantastic! This is good and thoughtful stuff! 🙂 Thanks for putting it out there old friend. Thanks- it was a hard one to write since it was so personal, but those are usually the ones that help people the most. I so appreciate you for reading my stuff! Oh, sweet sister, I am praying for the peace that comes with forgiveness to bless you. I know how hard it is. Keep searching. It is there.